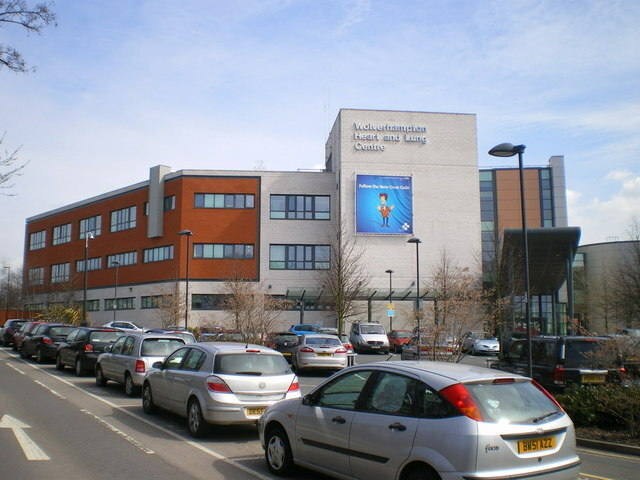 Royal Wolverhampton NHS Trust’s New Cross Hospital, located in England’s West Midlands county, has spent several years focused on improving patient safety and health through technology, as well as on education and standards-setting. The hospital’s SafeHands program targets hand hygiene, patient and staff management, and asset tracking. To help accomplish these goals, New Cross has installed an RFID-based solution that monitors hand-hygiene compliance. The solution, provided by Pittsburgh-based real-time location system (RTLS) and software company TeleTracking, also enables the hospital to monitor the locations of assets, patients and staff members, thereby providing a better and safer overall environment for patients, says Clare Nash, a registered nurse who works at the hospital and serves as its SafeHands program manager. Hospital is now able to enforce hygiene as well as implement a slew of patient safety and monitoring features. The hospital’s original reason for adopting an RTLS was to boost hand-hygiene compliance, Nash says, but once it began considering the technology’s cost—prior to installation—it began examining other ways in which the system could be used. Nash says management determined that asset tracking would provide immediate benefit. In addition, she notes, employing the technology to monitor the locations of patients and workers would ensure the efficiency of services provided to patients, as well as the prompt clearing of vacated patient rooms. It would also create a record of who was within range of whom in the event of a communicable disease, such as norovirus, and enable the hospital to better understand patient dependency, by analyzing staff time at bedsides. In February 2013, New Cross selected TeleTracking’s software platform. The CenTrak technology utilizes the hybrid combination of infrared (IR) and RFID technologies to pinpoint the location of a tag or badge specific to a particular room—or, in some cases, to a given patient bed. The system consists of CenTrak’s battery-operated IR modules (the size of a smoke detector) attached to the ceiling or wall. Each module transmits an IR signal with a unique identifier. Each battery-powered tag and badge is equipped with an IR sensor that receives the monitor’s ID number. The tag then transmits a 900 MHz signal encoded with the module’s ID number and its own ID. RFID access points (readers) within range of the tag capture that data and forward it to the TeleTracking software via a cabled connection. For hand hygiene, an IR module is installed above each hand-sanitizing station throughout the majority of the facility. Staff members are expected to wash their hands before and after every patient visit. Each employee wears a CenTrak IT-744E staff badge with a unique ID number linked to his or her identity in the TeleTracking software. Every time a staff member dispenses soap or gel from the pump, the IR module is triggered to transmit its IR signal, and the badge transmits that IR data, along with its own ID, to the RFID reader, which forwards the collected information to the software. As that individual visits patients, that data is also collected, based on location data derived from IR transmissions at each patient bed. The software then calculates the worker’s hand-washing compliance rate, based on those visits and the hand-washing events that occurred in between. If an employee encounters a situation requiring immediate help, she can press a button on her badge, in the event that the emergency buttons installed on walls throughout the hospital are out of reach. The software captures this event, along with the worker’s location, and the touchscreens emit an alarm and flash red. In the near future, Nash says, the software will be configured to send an e-mail to security personnel as well. Additionally, each patient is provided with a CenTrak RFID wristband encoded with a unique ID number. Once that individual is moved to an assigned room, the wristband receives the ID transmitted by the IR module installed at his bed, thereby linking that patient to that particular bed in the TeleTracking software. The software then monitors whenever the patient leaves that area, and for how long. For instance, if the patient appears to be alone in the bathroom for more than 20 minutes, the system sounds an alarm. If a staff member is searching for a patient, she can use the touchscreen to locate him in, for example, the imaging department. When checking out of the hospital, the patient places the wristband in a box designated for that purpose. The wristband receives the ID number transmitted by the box’s IR module, thereby indicating that the wristband has been retired by that patient and the corresponding bed is thus ready for cleaning. Housekeeping personnel then receive a notice on the Apple iPod Touches they carry, indicating which beds are ready to be cleaned. In this way, the system makes it possible for the hospital to more quickly assign beds to new patients, and to reduce the need to either have a patient wait or transfer him to another hospital. In the event that a patient is found to have a communicable infection, the software can be used to track who has been in contact with that individual, including all staff members who treated him. Those employees can then be located and treated accordingly, in order to prevent further outbreak. Since the system’s installation, Nash reports, it has prevented an average of 26 patient walkouts each day.